Southern Californians will see a substantial increase in the amount of police enforcement on the roadways this Thanksgiving weekend. The increase in driving under the influence (DUI) patrols and sobriety checkpoints serves to discourage illegal activity and arrest motorists suspected of driving under the influence of alcohol. All motorists would be well advised to drive safely and to utilize a designated driver or taxi service after consuming alcohol during the holiday festivities. 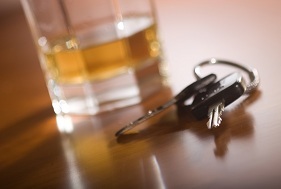 During the 2010 Thanksgiving enforcement effort, 1,546 people were arrested on suspicion of DUI in California. That number reflects an increase from the 1,461 DUI arrests during the 2009 Thanksgiving weekend. The California Highway Patrol reports that their increased DUI enforcement begins this year on November 23 at 6:01 p.m. and continues through November 27 at 11:59 p.m. If you are pulled over this Thanksgiving weekend, there are a number of things you should remember. First, be respectful and polite to the officer. Remember that you are allowed to refuse taking a field sobriety test. Additionally, you have the legal right to refuse a preliminary alcohol screening test (breath test) as well. Individuals who have been arrested, however, must submit to a chemical blood or breath test. Refusal of one of these tests after being arrested will result in a license suspension and at least 48 hours in jail. Last, but not the least, remember to exercise your right to remain silent. The experienced Los Angeles drunk driving defense attorneys at Takakjian & Sitkoff handle cases throughout Southern California. If you or a loved one is charged with a DUI this Thanksgiving weekend, please call our offices at (866) 430-8383 for a free consultation and comprehensive case assessment.